"Love is a battle. Lost in advance," Marc Marronnier begins his story, the hero of the acclaimed novel by Frederic Beigbeder "Love lives three years". The main character is sure: any relationship is doomed, because he himself never loved a woman for more than three years. All his love moved along the same scenario: The first stage is the stage of love. The second stage is a little cooling, the appearance of friendly tenderness. The third stage is alienation, cooling, boredom. However, Marc Marronnier, believing in his theory of "three years of love," is afraid. He does not want the relationship to cool down, each time he fearfully awaits the approaching third anniversary, until finally he finds a woman with whom he is connected by something more, than bed or mutual sympathy. What do you think about love? Are there any ways to make it longer? #1. Does the passion wear off? 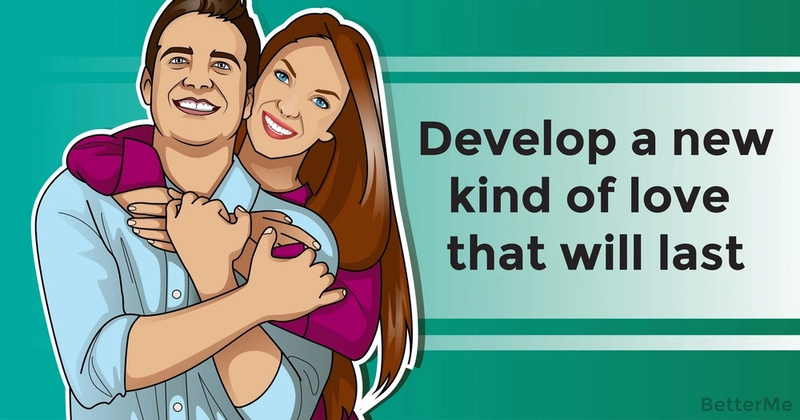 A recent study shows that this can happen after the first year of your relationship. So, you do not even have those three years. #2. Are you in love with the same person as at the beginning? Every person changes over time, so there can not be the same person like he was some years ago near you. #3. Does a watched pot ever boil? It is always easier to breakup with your friend, than with your partner. #4. Are you trying to science an organic process? People are really afraid of changes. They always try to be the person their partner fell in love with. This always complicates their relationship. #5. How can you make your love last? According to scientists, love lasts three years and even less. However, after that you can create your own type of love that will last the whole your life. You will need to overcome a lot of difficulties and to perceive all changes of your partner’s personality. You will grow your love together.